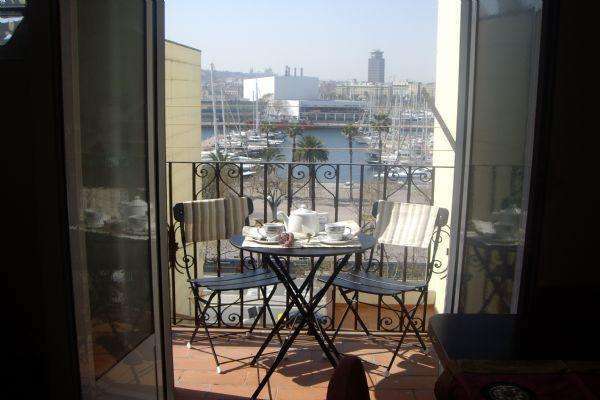 This is a comfortable Barcelona apartment, located in Barceloneta, close to the marina and the beach. This area has retained a marine charm and a family atmosphere with its many tapas bars and fine restaurants specializing in seafood and paella. The Mar II, which can accommodate up to four people, has been completely renovated and has a unique view of the marina. It has its own balcony and a communal terrace where you can relax and take in the surroundings. The living room has a comfortable sofa bed and TV and is decorated with modern furnishings. The American style kitchen is well equipped. The bedroom has a double bed and the bathroom is en suite. This cozy apartment complete with central heating, heaters and air-conditioning is the perfect choice for your time in Barcelona.